When we arrived at the Rosenberg Library yesterday, we had no idea that the day was anything other than plain-old ordinary. However, to much delight, we soon discovered that we’d be celebrating the birthday of the man who made our lovely library possible — Henry Rosenberg. Even though he’s been gone since 1893, it is because of his generosity that my Nixi is able to enjoy such a wonderful place as Rosenberg Library. I’m so happy that my daughter loves books and reading so-very much. When it’s library day, Nixi is always jumping (literally) for joy. I look back on my own childhood, and I wish I had been able to know the joy of visiting our local library. But, alas, it was not to be in my early years. Let’s just say I’m a late bloomer to frequenting the library and learning the vast resources available there. The celebration of Henry Rosenberg yesterday piqued my curiosities about the man behind such a wondrous place; free to all…loved by so many. After further research, I learned that he had moved here to Galveston Island from his hometown of Bilten, Switzerland, when he was just a lad of nineteen years. Quickly finding success as a dry goods merchant, Mr. Rosenberg worked his way up to purchasing the dry goods business within three years, and set-about growing it into the largest dry goods business in Texas. Between 1851 and May 12th 1893 — passing at the age of 69 — Henry Rosenberg contributed thousands upon thousands of dollars to the growth of Galveston Island. In his Will, he left $400,000.00 towards the organization and endowment of what is today the Rosenberg Library. When I stop to consider how much four-hundred-thousand dollars was back then, and how much it is today, I can’t help but be inspired by Henry Rosenberg’s generosity. It makes me realize what I could do to help out my community more and be a better help to to those around me — both near and far. Celebrating the life of such a generous spirit, and singing him Happy Birthday to the theme of Curious George, along with the wonderful staff at Rosenberg Library yesterday, was a time we won’t soon forget. My Nixi received a gold medal for reading, and we couldn’t be more proud of her. She has come so far this past year with her reading. 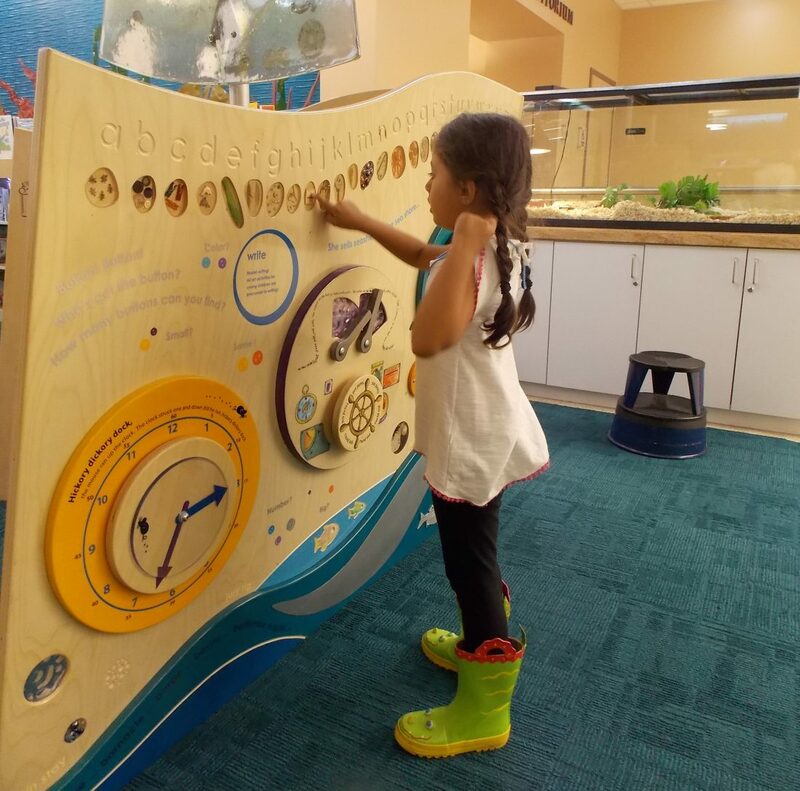 And her love of reading, and the fun times we’ve had at Rosenberg Library, I know must be contributed to one of the most enjoyable free things to do on Galveston Island. I wanted to share the snaps we took of yesterday’s fun. I hope it inspires you to visit your local library, and see what you might learn about the founder and staff-members who are always there to help. Such simple pleasures in life are utterly priceless! Round and Round We Gooo! BANANAS for Juices Boxes, Animal Crackers! Categories: Activities with Kids, Discovery, Family Friendly Free, Galveston History, Henry Rosenberg' Birthday Celebration, Home School Activities, Homeschooling Activities, Learning through Unschooling, Post Forty Parenting, Promoting Literacy In Kids, Simple Things in Life, Staying Young, The Simple Life, Uncategorized | Tags: Celebration at Rosenberg Library, Fun Free Activities on Galveston Island, Fun Free Galveston, Galveston History, Henry Rosenberg Birthday Party, Learning Is Fun, Rewards of Reading, Rosenberg Library, Simple Pleasures, Summer Reading Club | Permalink. The other day…during outside playtime, my daughter Nixi and I discovered a baby snail stranded in the middle of our sandbox lid. It must’ve felt like no ‘mans’ land to the little critter– I’m sure he was almost bird feed. All in all…It was a fun day of learning to be kind to creatures more vulnerable than ourselves. Nixi and I came inside and examined Inch with our magnifying glass, while referencing her book about shells; which identifies the parts of creatures living in shells…including snails. I thought it might be fun to share our little adventure in nature, with you-all out there in this great big world of wonder. Whether you home school your child (children), or your child (children) go the more traditional route, I hope our little snail, Inch, will inspire you to scout for your own class pet. Inch is a curious little guy…or girl. We’re calling him a he. 1 Jar – twigs, clover, roughage scraps (lettuce, kale, etc), a dot of water, a rubber band to hold-tight-the-net-topper…and Voila! Categories: Activities with Kids, Adventures in Nature, Home School Activities, Uncategorized | Tags: Forty Something Parenting, Home school class pet, Homeschooling, Learning from nature, Mid Life Moms, Parenting | Permalink. As our daughter Nixi began to approach school age, my husband and I figured we’d go the traditional route and enroll her in school. Until one day, as I sat with my 3 1/2 year-old in the office of her prospective preschool, I realized that it somehow felt all wrong. The principal came-across as cold and unfeeling, not the least bit warm in her interaction with my child. It alarmed me to rethink it all. That was the day we began our journey into homeschooling; casually, without even realizing it at first. I remember the school calling me up on the phone, questioning me as-to-why I had not sent in my daughter’s enrollment papers. I quickly told the school administrator that I had decided to keep my daughter home for another year. I was not sending her to their school. She clearly did not approve of my decision, but…since it really wasn’t any of her business, I did not succumb to her prying. It all turned around for us that day, and I started ordering books on homeschooling and un-schooling. I was intrigued by it all: the idea of keeping our daughter home to learn in a non-traditional way. I felt passionate about helping my daughter develop a deeper love of learning than most kids are allowed to reach in public schools; though there are exceptions in every case scenario…I must admit. Two years later, I can’t say it hasn’t been a challenge to do things differently this time around, but I can say…it has been quite an adventure! Being a late-in-life homeschooling mom is someplace I never thought I would be at this age. And…I must admit, homeschooling isn’t for everyone. Even I have my days when I wonder if we are doing the right thing…schooling our 5 year old in a non-traditional way. I worry she might be lonely at times…for other kids her age. I worry she might get really sick of my company; me being her constant companion, teacher, mother, friend. Then I see her with other kids, with other people, and I realize she doesn’t have one ounce of trouble blending into any situation. She is a very outgoing child. She makes friends where ever we go. I watch her just being a kid, while many of the other ‘traditionally educated’ kids stand back and seem almost fearful of being free…being kids. It’s times like this when I realize the freedom and room to grow…to learn, we are giving her by teaching her in such a relaxed environment. Because she has developed a love of learning (especially reading) on her own, I feel she will not tire of it as she grows older, and into more difficult curriculum. She will already have-come to associate learning with freedom and no stress; unlike kids in traditional learning situations. As a child, I remember liking kindergarten–recess especially–and that’s about it. I found school terribly confining and boring, stressful and traumatic at other times. The constant need to fit-in and be accepted was a real drain from my creativity and concentration; my entire ability to learn. And even though I did finally get through school, I cannot look back on it all and say it was a good experience. In fact, it was the opposite. The old saying “You can lead a horse to water, but you can’t make him drink”, stays constant in my reminder-to-self when I do have my weak moments of doubt. I remember how, even though I sat in the classroom physically, I was not there mentally. So the teacher was teaching, but my thoughts were a million miles away…wishing I could be anywhere but there in school. This is something I never want my daughter to experience: that desperate need to escape, feeling like you are in a prison-of-sorts. In my memories of school, from K to 12, that’s exactly what I felt 99% of the time. Not until college, when I went voluntarily, was I excited about learning. I cherished each and every moment I spent in my college classroom. I loved just being a part of the experience that was higher learning. I finished all my classes with flying colors, my first go-round in community college. Later in life, when I was already a mom of two, I enrolled again in college. Just like before, I loved being there. It was what learning was supposed to be, in my eyes. I blossomed in so many ways in my efforts towards my AA in English. Not only did I maintain a 4.0 GPA, but I also ended up serving two years in student government, and contributing to the campus literary magazine. These memories of ‘learning on purpose’ and loving it, are what keep me trying new…fun ways of teaching my daughter. –Ways she does not even realize are lessons, because she has fun in her educational efforts. It is true, kids are like sponges when it comes to learning. Our little-one loves books, she loves reading, word games, numbers too. It’s all fun for her; not a chore, an assignment load she cannot bear at such a young age. I feel that kids are given too much burden when it comes to lessons and homework in the public school system. It takes the fun out of learning. As for our preschooler-turned-kindergartener, we hope to keep learning fun for her all through her school-aged years. We choose to let her remain a child, without all the pressures of fitting-in and growing up too fast. In an age of too much seriousness, stress, and pressures for children to grow up too soon, I feel Blessed that we can be here to guide our daughter. I feel so-very fortunate that she can learn…for the love of learning. After-all, living a full…abundant life (in my opinion) involves remaining forever young and seeing each and every thing around us as a lesson to be learned. Learning is everywhere we go — the world is our playground. We just have to be allowed to embrace it with an open mind…and open arms. Categories: Activities with Kids, Discovery, Family, Family Friendly Free, forever young, Homeschooling Activities, Kids Activities, Late In Life Parenting, Learning through Unschooling, playtime, Simple Things in Life, The Simple Life | Tags: a Love of Learning, Free Fun with Kids, Fun in Learning, Homeschooling Activities, Summer Reading Programs | Permalink.